Happy Picture Polish Thursday! Today is my last Picture Polish Thursday too. Its a little bitter-sweet. I really looked forward to these posts every week. I purposely didn’t try on the 9 polishes in advance and waited until Tuesday or Wednesday to try them on. I really wanted to enjoy these past 9 weeks because Picture Polish was the first big brand to ever send me polish to review. I tried out a great variety of shades. And if you want to see all my previous posts you can check them out here: “Flirt,” “Mellow Yellow,” “Whimsy,” “Vegas,” Ozotic 744, “Focus,” “Sea Jewel” and “Shy Violet.” Wow just typing that it it seems like a lot! And I think I saved the best of the 9 for last. 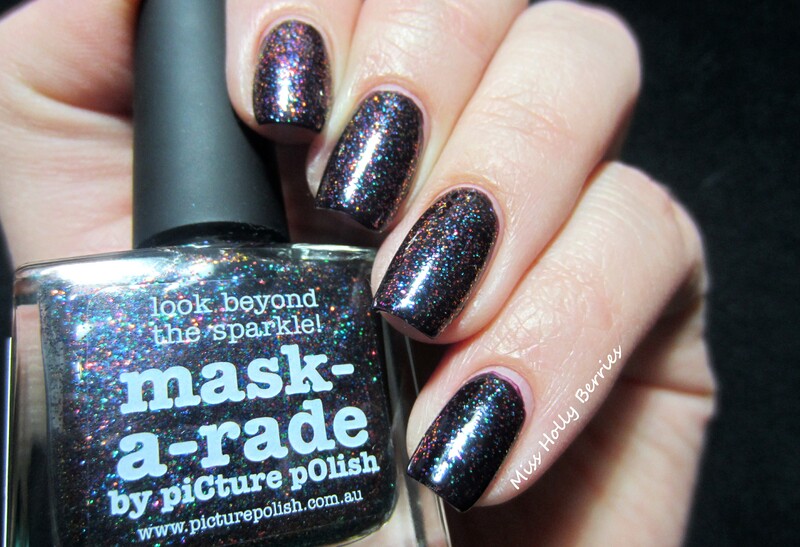 This has been a lemming of mine for probably 2 years, ever since I first heard about Picture Polish! I’ve wanted this for the longest time, and go figure I finally get my hands on it at the same time its being discontinued! So if you like this polish, run and go get it! 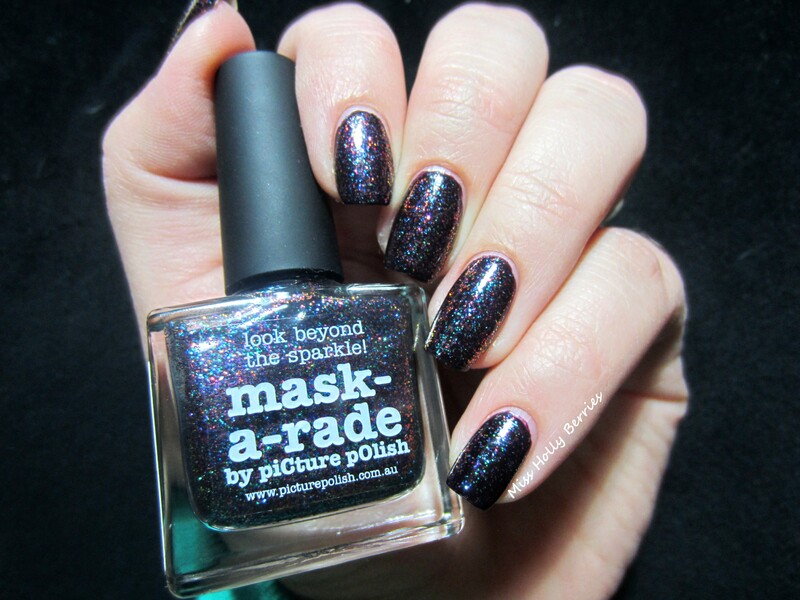 Picture Polish “Mask-a-rade” is a sheer glitter topper that is a basically every color under the sun! The glitters are so small and the formula is thin enough that it basically makes the polish look like a dark rainbow on your nails. 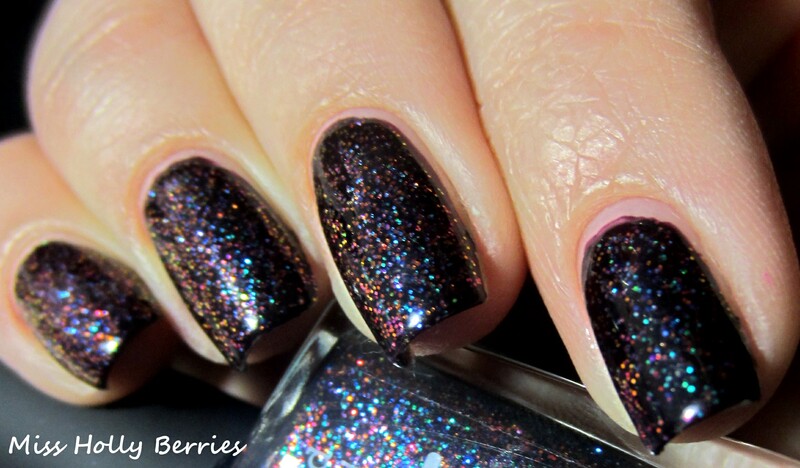 And this isn’t just a glitter, but it turns your manicure into a multi-chrome! I can’t even describe how cool this polish is so I hope my pictures show all the cool colors! A macro-shot kind of shows how amazing this is! 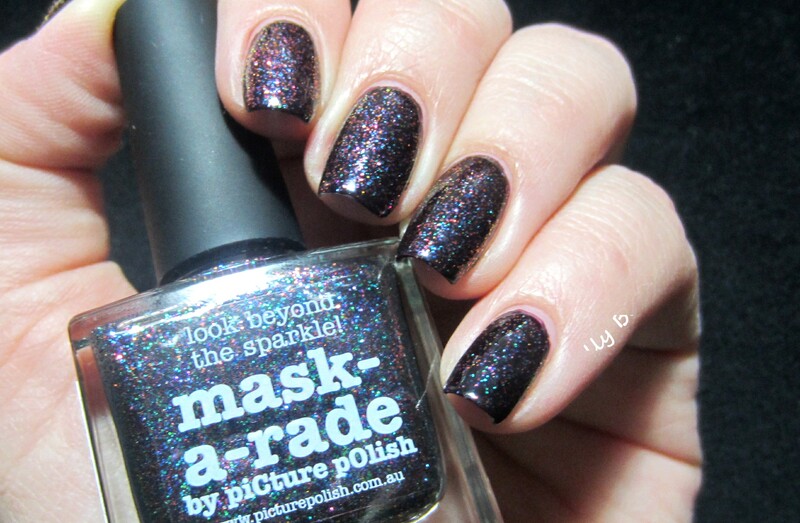 This is 2 coats over OPI “Lincoln Park After Dark.” The formula on this polish amazing. Even though this is just a topper, it dries really quickly and goes on really smooth. And it goes on really evenly, which is nice for a glitter topper. Can you tell I’m in love? What do you guys think? What are your favorite glitter toppers? ← Ulta Lip Crayon Review! Such a fantastic color! I love the darkness but it’s still bright and colorful! aww thanks! and if you want it, they’re discontinuing it so i hope you can get your hands on it. thanks for commenting! i am afraid that will not happen. But it’s not the end of the world.